2018 saw increasing support for the technologies behind Progressive Web App from major players like Google, Microsoft, and Apple. As adoption of PWAs become mainstream, it could also open up new growth opportunities for your business. If you are building for the web, there is no way you wouldn’t have heard of the latest buzzword in the industry, which would have been added to your work vocabulary, PWA’s. These have made the farfetched dream of running mobile like applications on the web browser. Progressive Web App is nothing but a term to denote a software development methodology that creates apps which are a hybrid of regular web pages and mobile applications. This aims to combine the features offered by modern browsers with the responsiveness of the mobile experience. These web apps load like a normal website but also offers you the fast and responsive experience of a native desktop or mobile app. It is like a clone child of best of the web and the best of apps. It starts like a normal web page, but as the user explores its feature, a pop up appears asking them to add this web app on their home page. Once a user selects that option a small icon of the web app appears on their home screen. If the web app is started from there, it hides the browser UI controls and functionality and runs like any other mobile application. How PWAs are made possible? The credit for providing such a seamless experience should be given to the Service Worker. Service worker is the script that the browser runs in the background separate from the web page, which is the backbone of every PWA. It enables reliable and intelligent caching, background content updating, push notifications and the most attractive offline functionality to prior visited sites. This means that, after the first visit to a website, the site and app will be reliably fast even on flaky networks. Then comes in AMP (Accelerated Mobile Pages). It provides reliably fast web components for the first load. These components are fast to load and fewer data hungry. 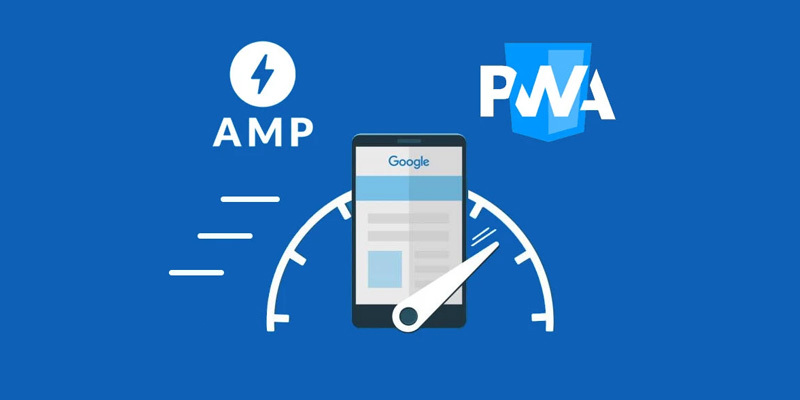 Websites that use the combination of AMP and Service Worker will provide reliable speed as the native apps. Once the page is loaded, the site setups the service worker and assets are cached intelligently. This will always keep the PWA up to date thereby freeing the users from the frequent updates to be done from the App Store. Increase discoverability of the app. Directly go to the domain name and no need to install it from the app store. 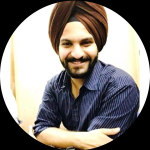 How PWAs gives opportunities for growth? Save money: If you chose to make a native app for your business, then you would have to make a different version for different platforms. Thus you would have to incur extra cost. Now if you are a startup strapped for money, then you wouldn’t like that. PWAs helps you solve this issue. They run on the browser and can be developed with the same technology stack. Whether its iOS or Android, PWA Web App are browser-based and uses the same code base for both platforms. NotifyVisitors help existing website to easily adopt Progressive Web App technology. Faster Adaption of Newer Versions: When you want to release a newer version of your app, you can’t do it immediately. You would have to wait for weeks before the app store gives you approval and it reaches the user. The high time cost and literal cost of releasing a new update to the app store means it is not feasible to release simple changes such as testing different copies. PWA can be updated easily like deploying a normal web app and can be released immediately without waiting for anybody’s approval shortening the feedback loop. Shorter feedback loops are beneficial for growth because they allow for faster testing and learnings. Incremental Changes: PWAs are not all or nothing when it comes to deployment. A different feature can be added incrementally. An app can do an initial test, allowing it to check which features are working or not and which allows it to be added to the home screen. It can then add more advanced capability like offline functionality later on if it finds the initial test results to be worthy. Conclusion: Progressive Web app is good for your business. Progressive Web App will kill some basic app as PWAs is easy to maintain and cost saving with lots of benefits compare to native apps. They have the potential to create a shift in the way the web works. Business can make use of this new technology to fuel growth. NotifyVisitors helps its clients increase growth by using PWA to their advantage. If others can do it, you can too. Visit our website to get more information about our products. What is A/B Testing and how it works? What are Push Notifications and Why push notifications useful to Boost Sales?